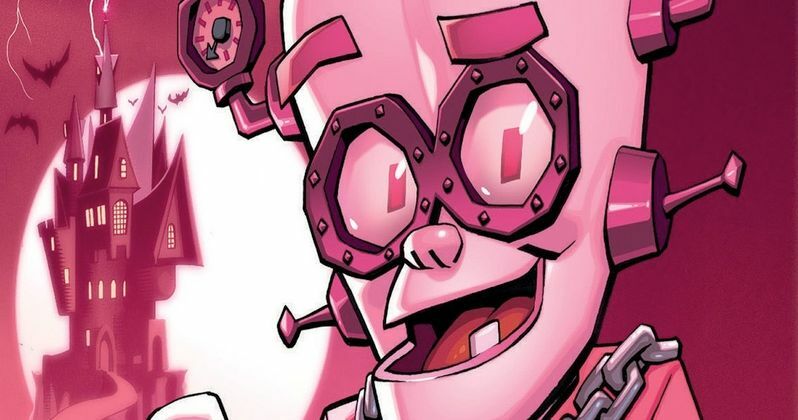 DC Entertainment has teamed up with Monster Cereal for a series of exclusive illustrations on each box of Boo Berry, Count Chocula and Franken Berry. "Boo Berry all the way! He's not just a Monster. To me, he was the smartest of the trio and often got the upper hand over the other two monsters. I had a very personal connection to Boo Berry growing up, it was my favorite cereal." "It was an honor. To work on something like Monster Cereal, outside of my usual super heroes work, is definitely one of the highlights of my (non-super hero) career!" "We wanted to ensure that Count Chocula, Franken Berry and Boo Berry still looked like the Monsters our fans know and love, but with a DC Comics twist. We were extremely fortunate to have Jim Lee and his team design custom comic strips for the back of each box, too." Count Chocula and Franken Berry first hit store shelves in 1971, with Boo Berry arriving in 1973. Available at Target, the original Retro boxes will also be available this year, with Yummy Mummy and Frute Brute also making a return for Halloween. And this year's boxes will feature cut-out masks. In addition to this first-ever Monster Cereal partnership with DC Comics and retro boxes, the Monsters will also be part of a free digital game app available on family-sized boxes of Honey Nut Cheerios, Lucky Charms, Cinnamon Toast Crunch and Cocoa Puffs exclusively at Walmart. Monster Cereal fans can conquer different game levels and use codes found inside of specially-marked packages that provide "power up" capabilities. All varieties and special edition boxes of the Monster Cereals will be available at select U.S. retailers soon and will be at stores nationwide by September.